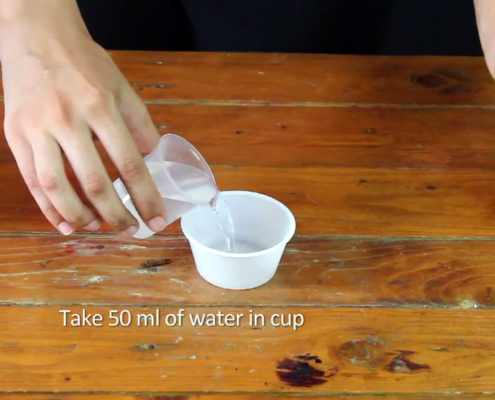 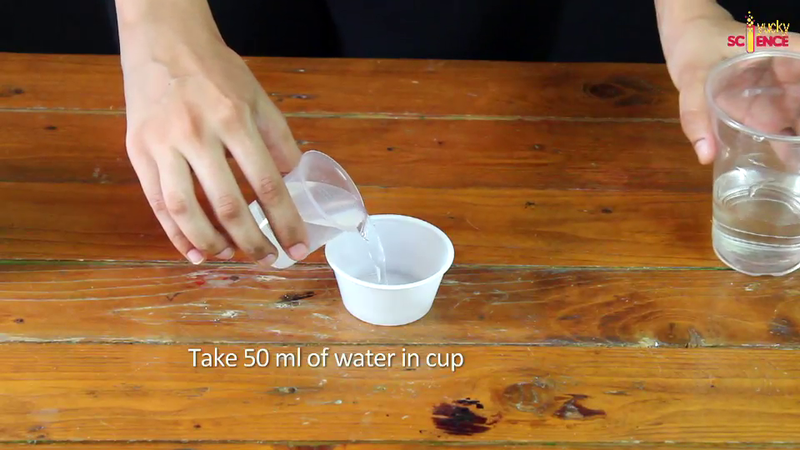 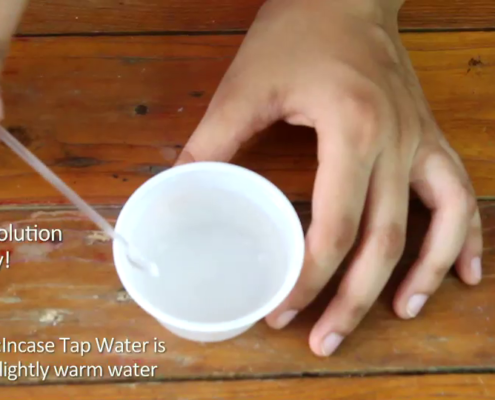 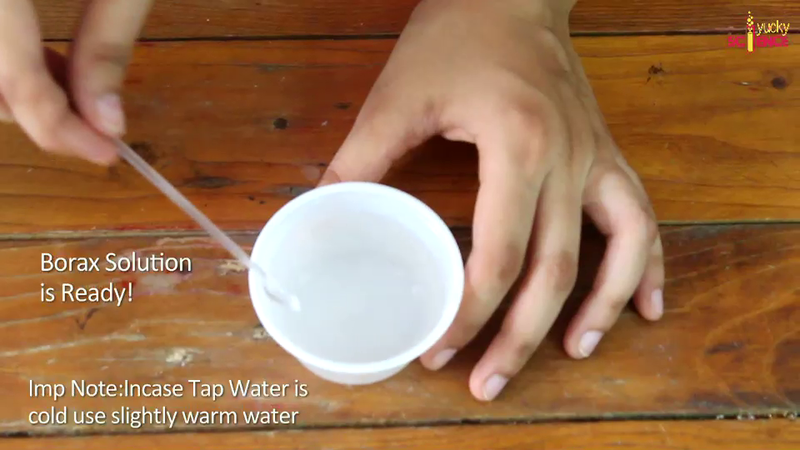 Pour 50 ml of Tap Water in mixing bowl 1. 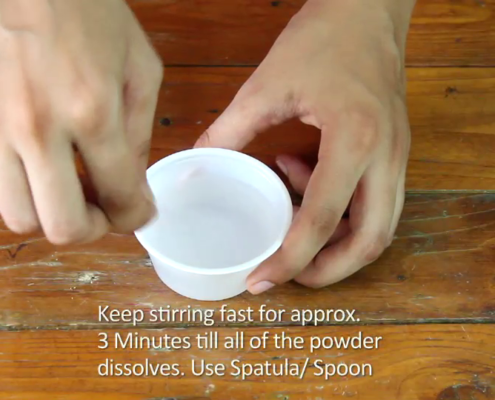 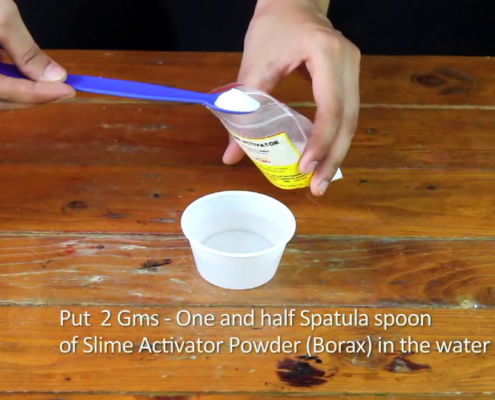 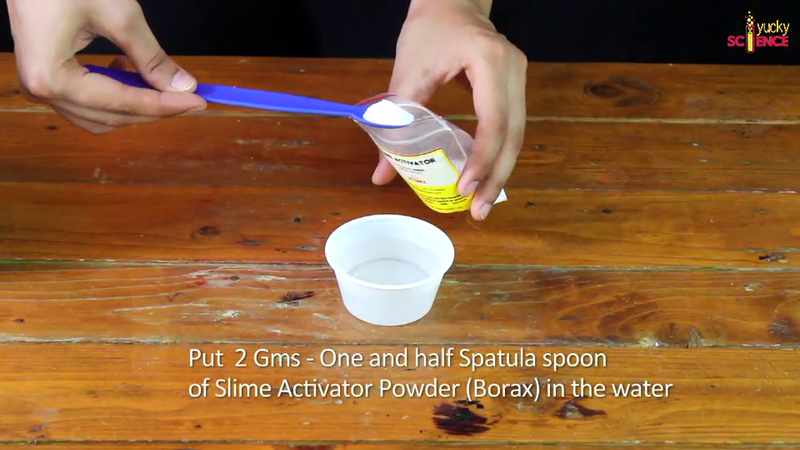 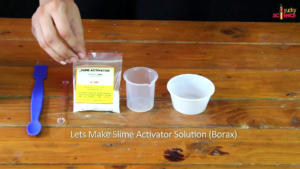 Add 2 grams of borax powder (approx 1 and a half spatula spoon) to water in the bowl. 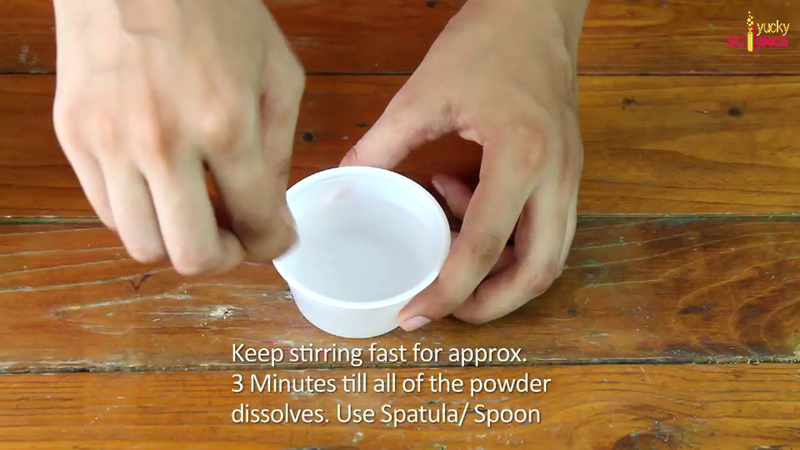 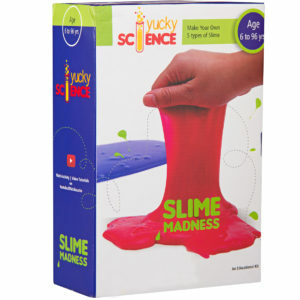 Keep the solution untouched for 30 mins.